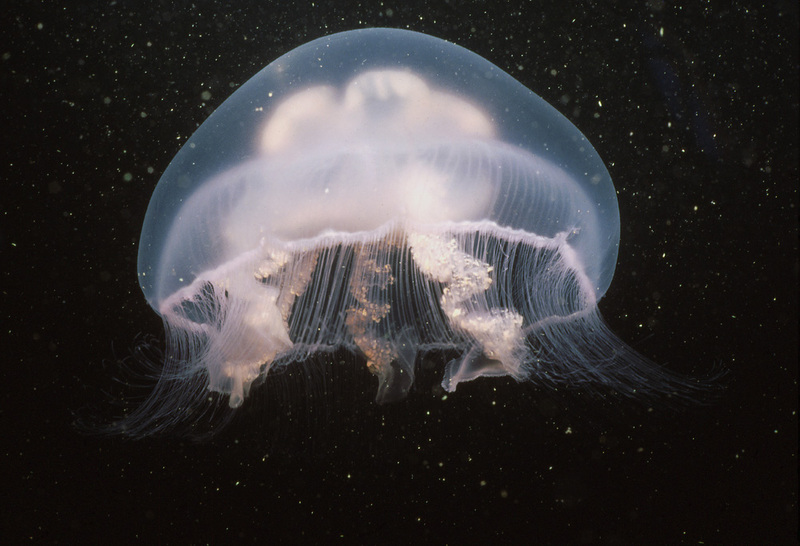 Floating in water and slowly pulsating its swimming bell the medusa of the common jellyfish (Aurelia aurita) could be regarded as the underwater counterpart of a butterfly. In Greek mythology the flight of a butterfly is connected to the concept of a soul, or soulfulness. In the Greek language psykhe means both the soul and butterfly, to make the connection even clearer. Perhaps it was, originally, the metamorphosis of the butterfly, from larva to the flying stage that made the Greeks think of the butterfly as a symbol of the soul: a human would also have to through a transformation, suffering from the pain and the struggle, in order to enjoy the goodness in life and experience the lightness of being. 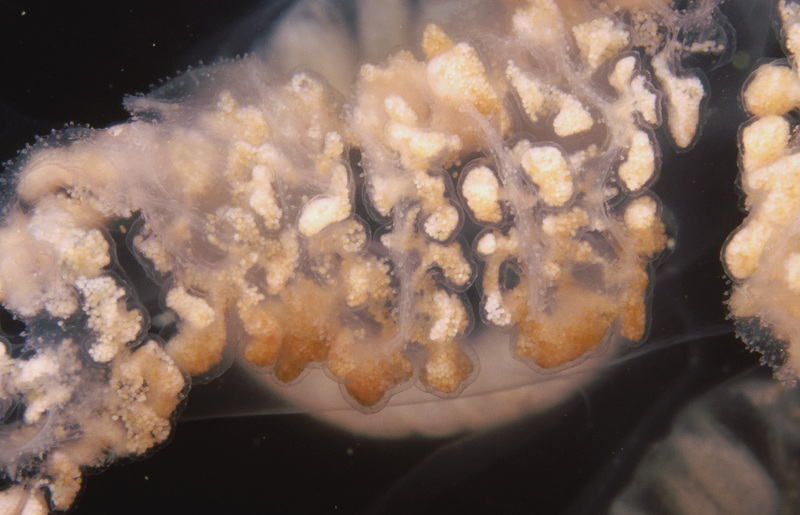 But, even biologically, the analogy of the jellyfish and butterfly is not as farfetched as it might seem: the jellyfish, too, has the transformation, from the polyp stage to a medusa, from a bottom-dwelling sessile to a freely floating plankter. 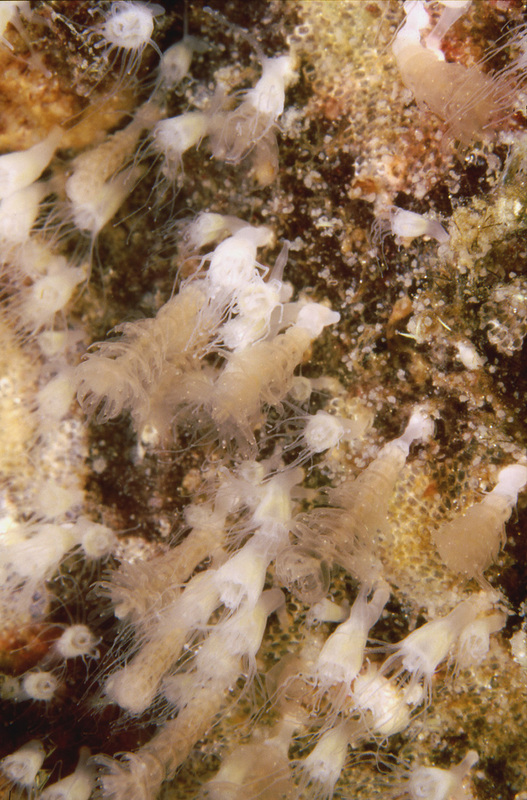 The hydrozoans, in general, have polyp and medusa stages but which one of the stages is more visible varies from species to species. 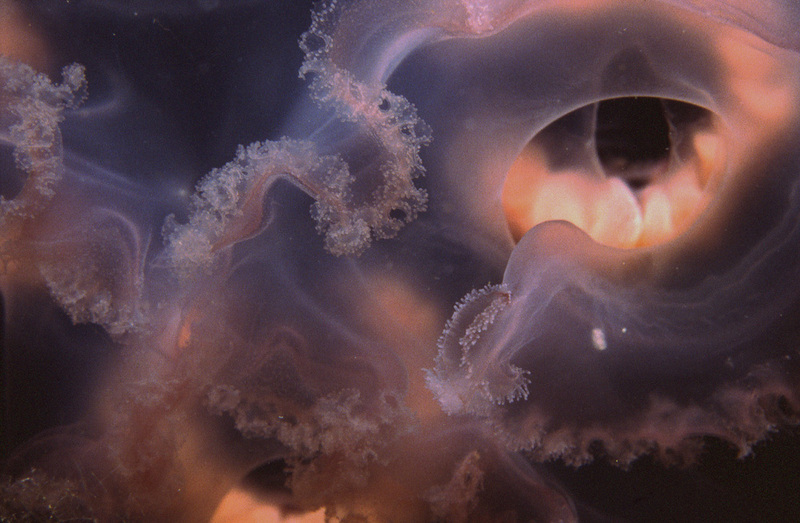 The medusa stage of the common jellyfish is by far the dominating one, the polyps being only millimeters in size. 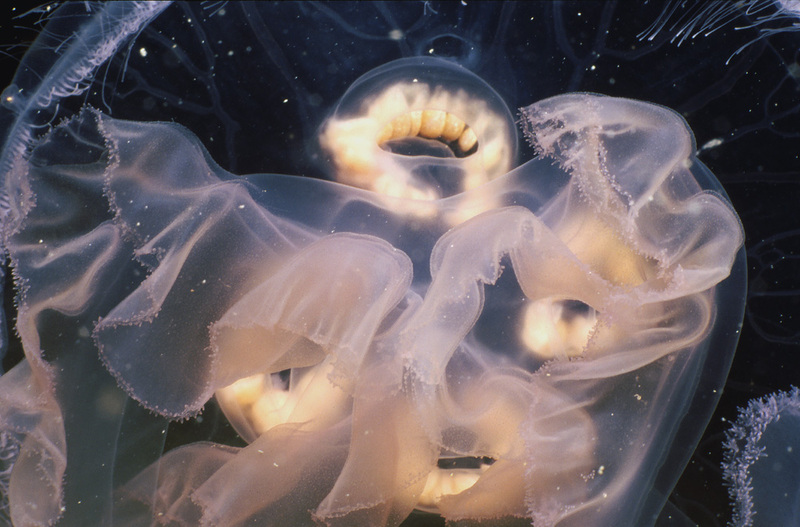 The size of the aurelia medusa varies according to the salinity of the water it lives in: floating in saltier water requires less energy and the medusa can grow in size instead. 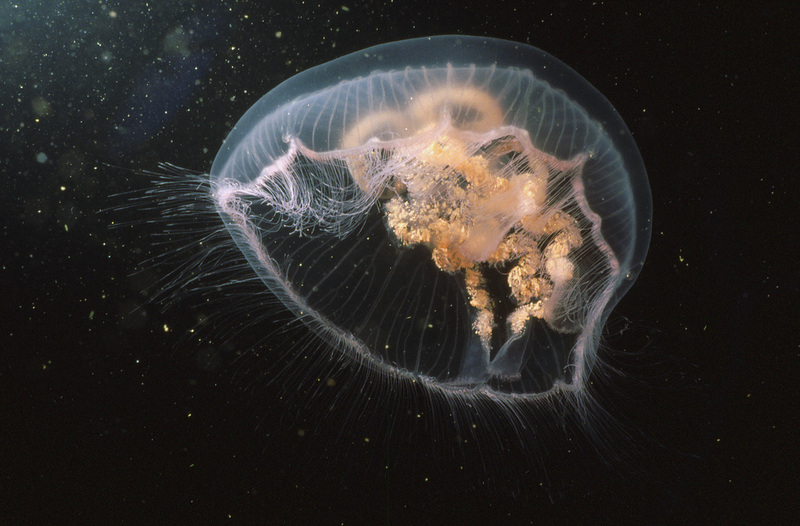 Aurelia aurita is truly a cosmopolitan species, but it has been subject to some discussion whether it reproduces at all in the northern Baltic proper. From limited personal observations it seems clear that it does, but the so-called strobilation, or forming of premedusal discs, is locally very limited. Strobilation could only occur within one square meter on a rock wall of tens of square meters. 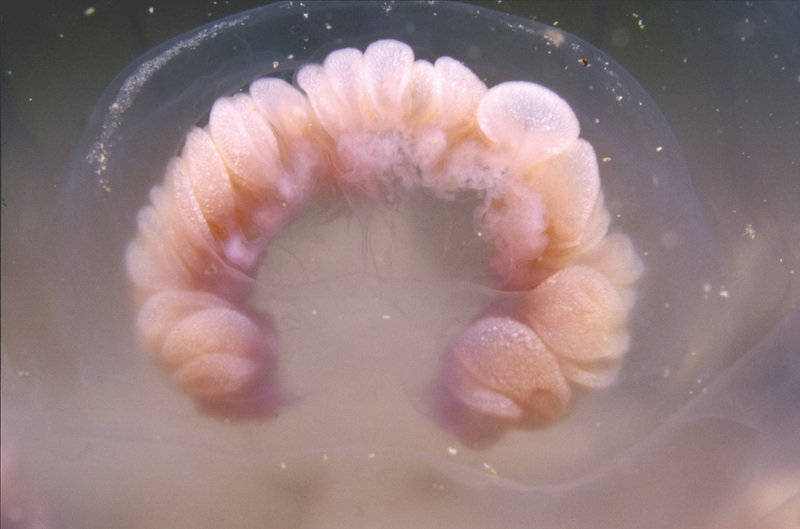 In the life cycle of the common jellyfish the polyp stage can produce both medusae or more polyps through a process of shedding. 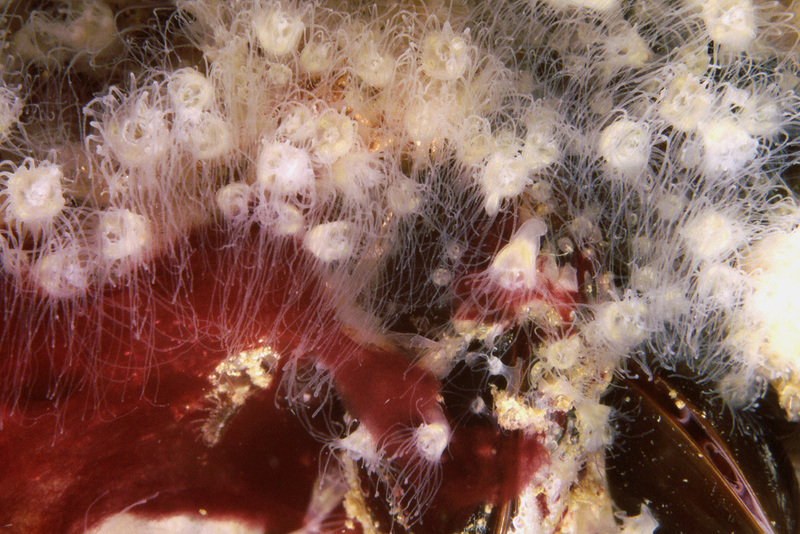 Polyps, as well as the medusae, are either males of females but the medusae only have sexual reproduction, producing larvae, which become polyps. 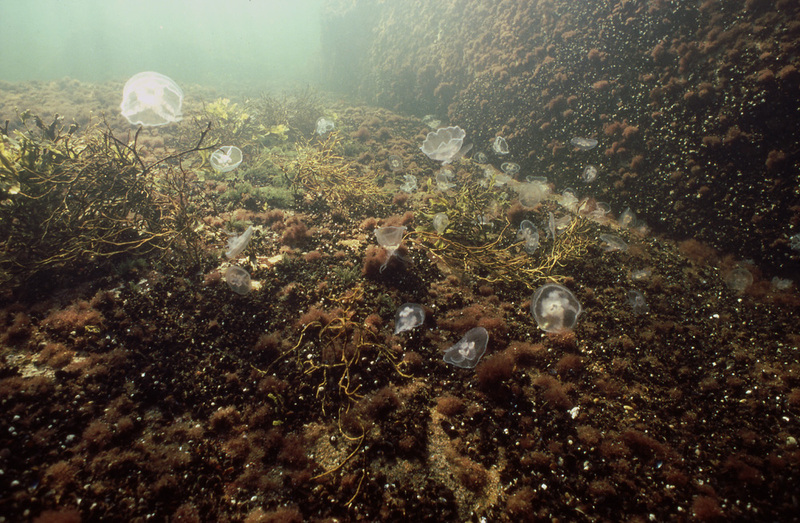 Even though the life cycle of the common jellyfish does not seem to be complete in the waters of the northern Baltic proper, medusae do turn up in great numbers in some years. Whatever you think of it as a symbol, its appearance is a reminder of the connection the Baltic has with the rest of the seas of the world. 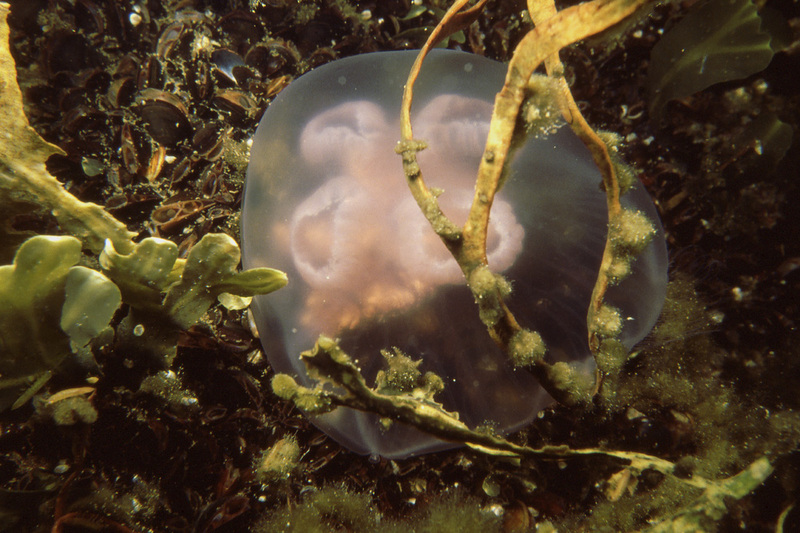 The medusae of the common jellyfish of the northern Baltic do not grow to a size as large as their cousins in the more saline waters. Not further away than in some areas in the southern Baltic proper they can be so abundant as to take up all of the smaller planktic animals they use for feeding for a period of time. 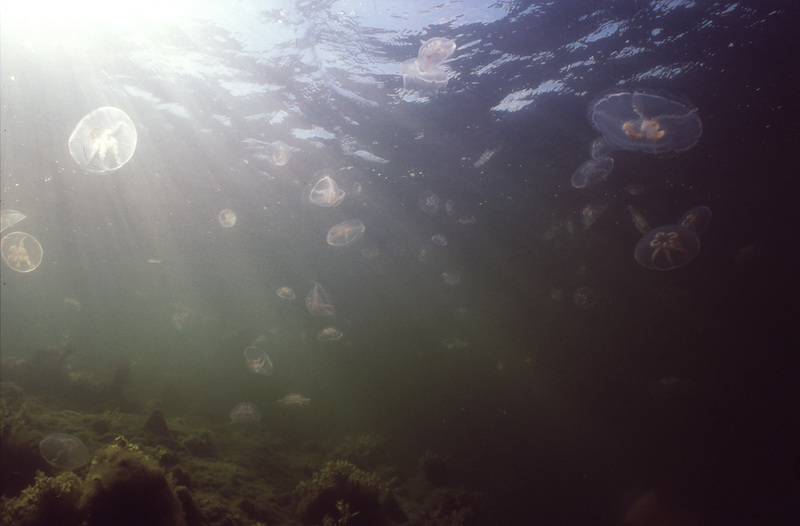 The occurrence of the medusae varies from year to year, but even in the irregular currents of the Baltic the medusae tend to concentrate in same coastal areas. The medusa lives only from around midsummer to autumn, at the most. 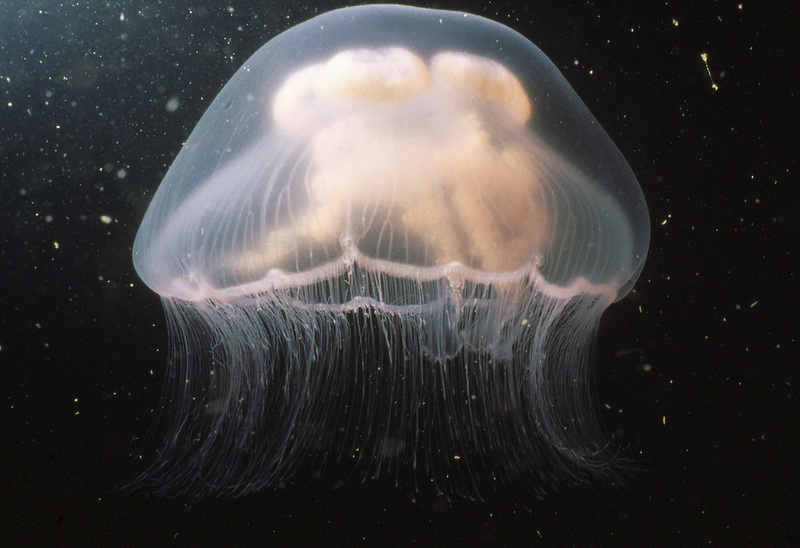 The medusae cannot swim against currents or in any specific direction at will. They do have a pattern of swimming, though: by swimming in a continuous vertical circle they control their average swimming depth, generally staying deeper at night and shallower during the day. What comes to mind is that they follow the planktic animals they feed on. 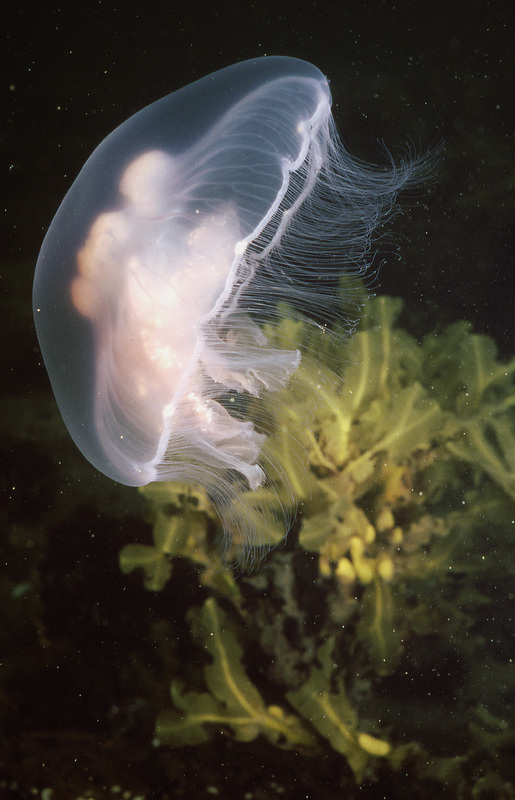 The medusae are mostly made of the kind of transparent substance their common name suggests but there are a few details that catch ones attention. 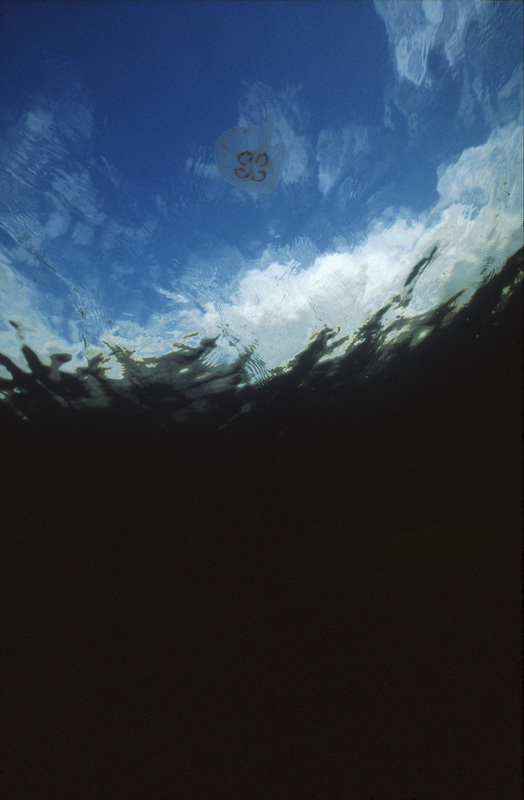 The four crescent-shaped formations in the swimming bell, the gonads, and the oral arms extending from the underside of the bell are positioned around the mouth and the belly in the middle. Radial canals within the bell are extensions of the stomach, transporting nutritional solution to various parts of the bell. The oral arms have a double role in feeding and reproduction. 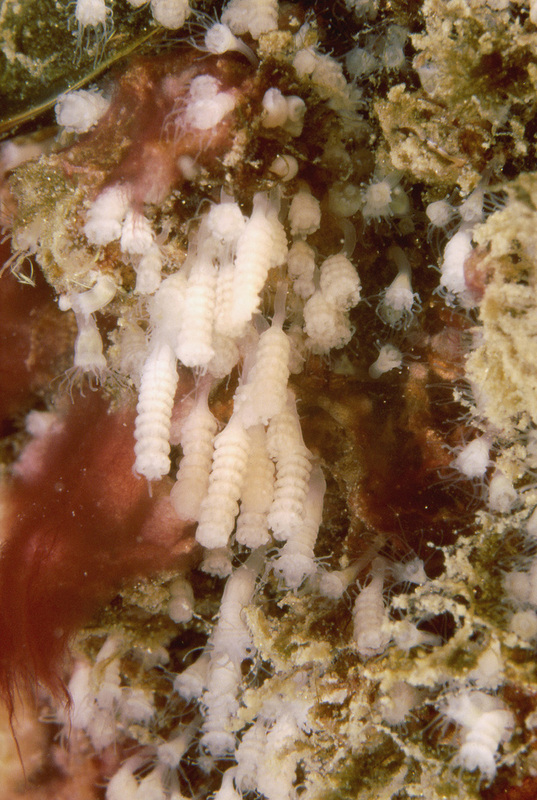 Small grooves in the arms carry food, having been transferred from the rim of the swimming bell, into the mouth. 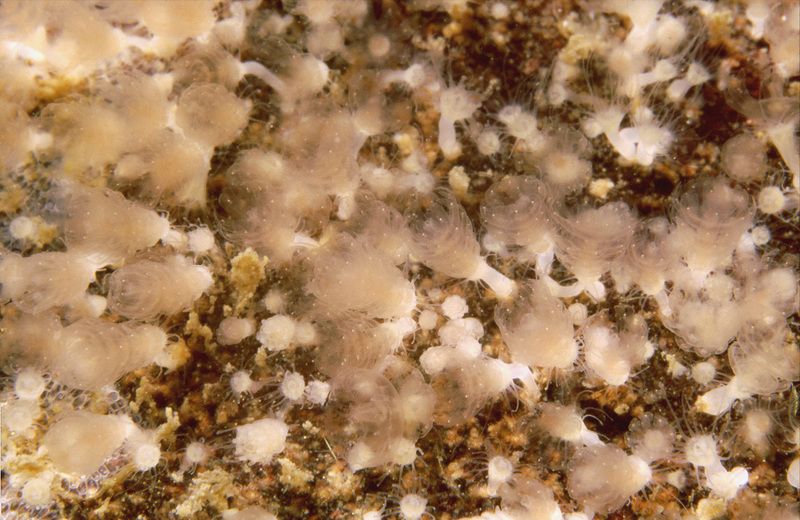 The female uses the margins of the arms for storing the eggs for fertilization and while they are developing. 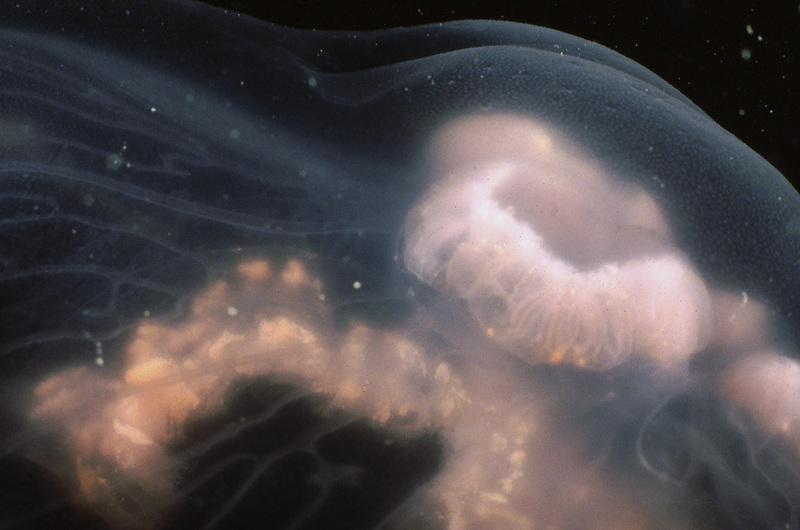 The jellyfish anatomy in a nutshell: the dominating feature in this photo is one of the eight rhopaliums at the margin of the swimming bell, containing sensory organs for light and balance. 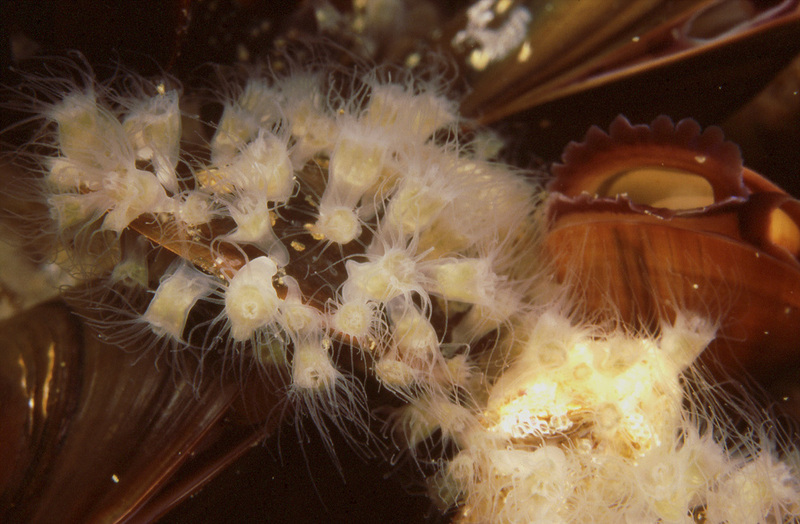 Radial canals are at the lower surface of the bell, and tentacles for catching prey hang from the rim. 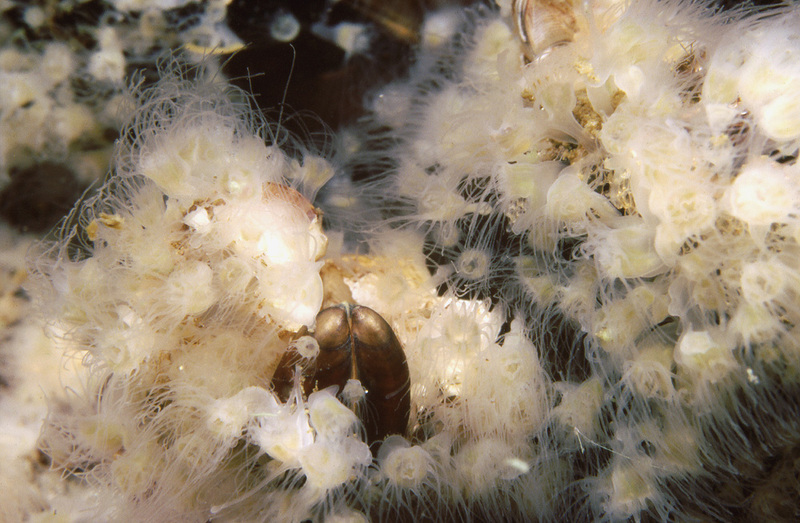 The gonads and part of the oral arms are seen in the background. 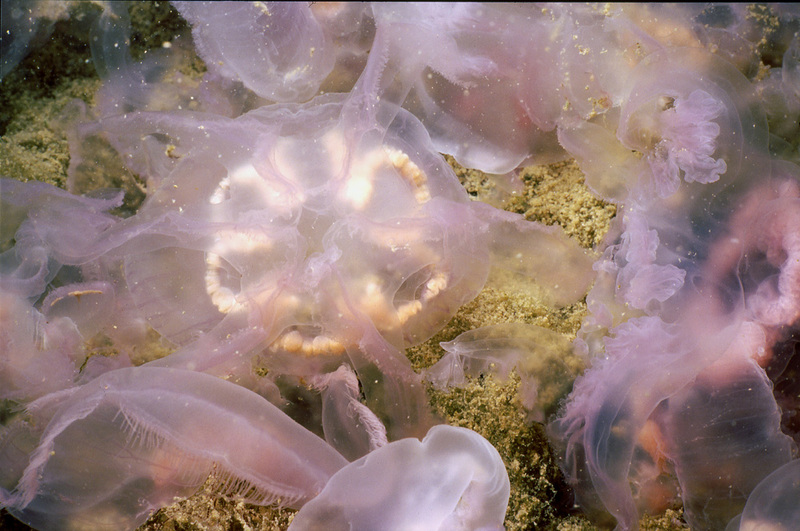 The polyp stage is closest to sea anemones we’ll ever get in these parts. 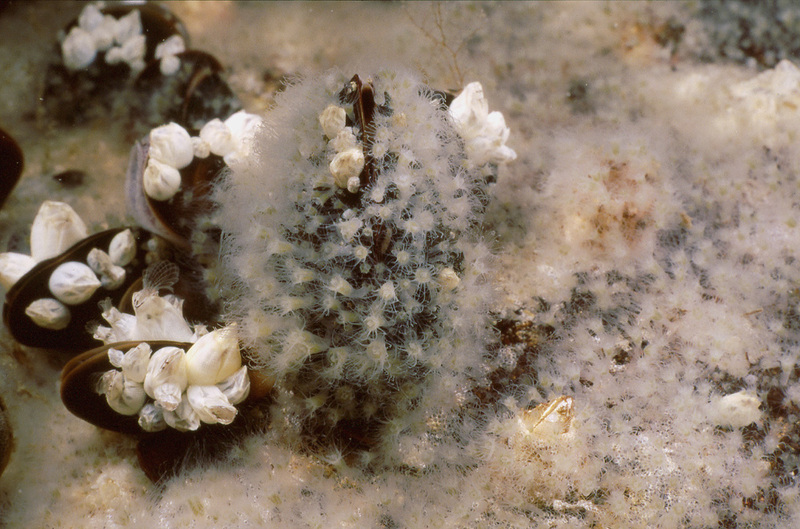 The polyps can be found throughout the year on rock walls, sometimes covering large areas. The most probable position, though, is on the underside of any overhang, protected from too much loose material accumulating on them. The strobilation, or forming of disc-like premedusal stages, does not seem to be complete in the Baltic, probably due to the low salinity. When strobilas form, it happens in the middle of the summer. 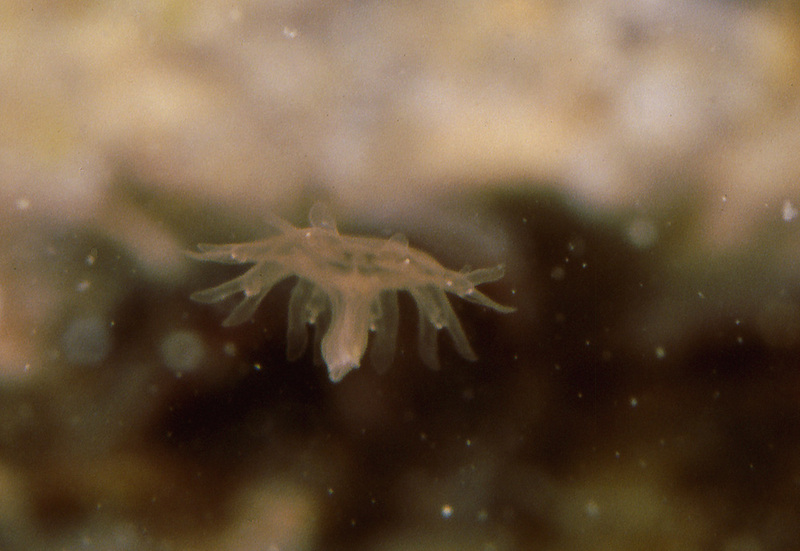 At the end of the process the strobilas begin to make the swimming movements of the adult medusae and eventually separate, one by one. 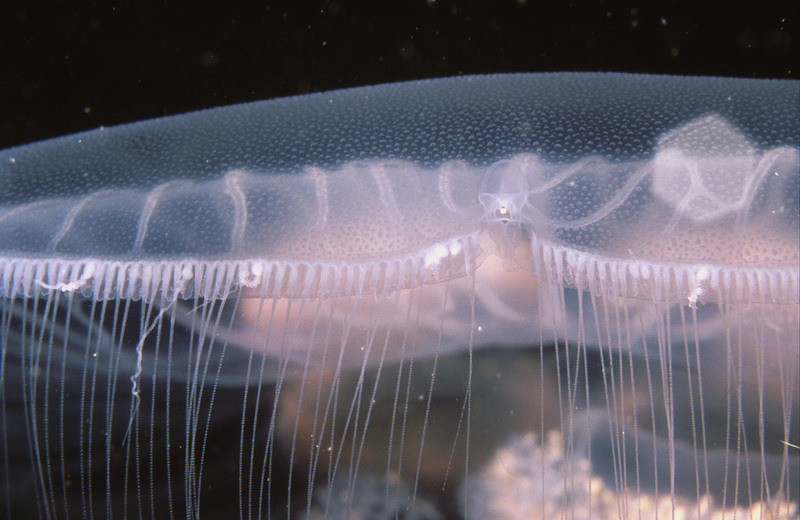 The juvenile medusa is called an ephyra and is of the order of three millimeters in diameter. Breathe deep at the pace of a swimming medusa and feel the rhythm of the distant oceans!